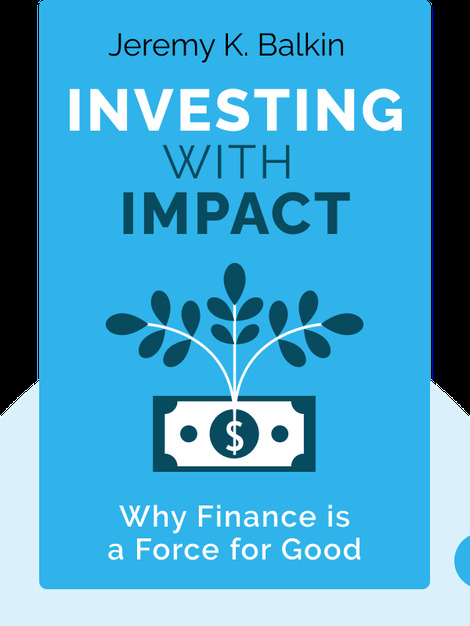 Investing With Impact (2015) explores how people have harnessed the power of capitalism to do good and improve society at large. As a number of ethical and philanthropic investors have shown, finance needn’t be a system of pure greed. Find out why the frequently demonized capitalist system may well be the secret to saving the world. 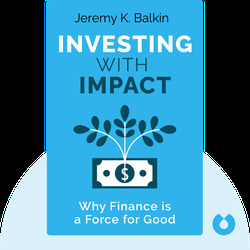 Jeremy K. Balkin, an esteemed leader on the subject of ethical banking and finance, is often described as the “Anti-Wolf of Wall Street.” A valued speaker, Balkin has given presentations at the United Nations and the World Economic Forum. His TED talk on ethical banking has been viewed over a quarter of a million times.